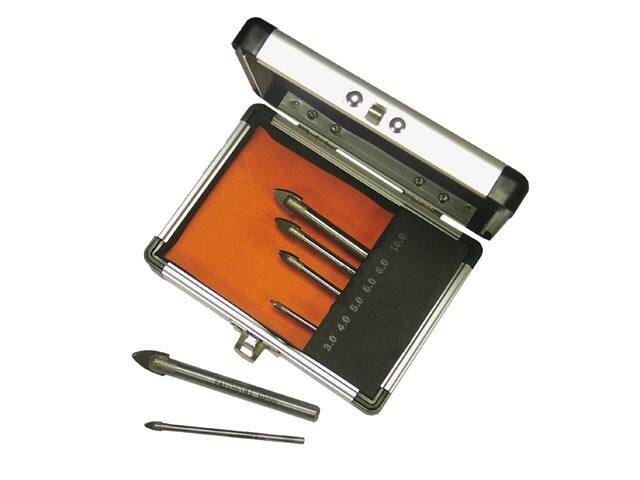 The Faithfull 6 Piece Tile & Glass Drill Bit Set for drilling glass windows, mirrors, bottles and ceramics. They have extremely hard tungsten carbide spear tips and should be used at low speeds whilst applying light pressure only. Lubricate with water for best results. For use in variable speed drills only. Supplied in an Aluminium storage case with a free 3mm bit. Sizes: 3, 4, 5, 6, 8 & 10mm.